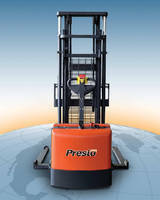 Three-Wheel Stand Lift Truck operates in extreme environments. 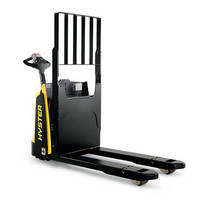 Walkie Counterbalanced Stacker features power steering. 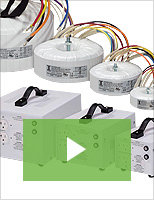 Electric Pallet Truck provides 4,000 lb capacity. Powered Walkie Stacker features 3,000 lb capacity. 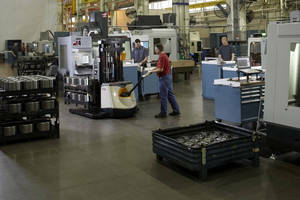 Maneuverable Walkie Straddle Stacker carries up to 4,000 lb. 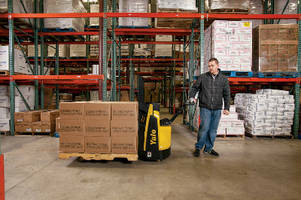 Walkie Pallet Truck enables simultaneous lift and travel. 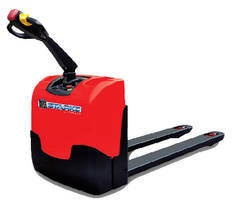 Walkie Pallet Truck includes AC traction and e-GEN® braking. 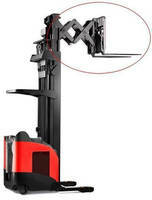 MPB045VG Walkie Pallet Truck comes with lithium-ion battery pack. 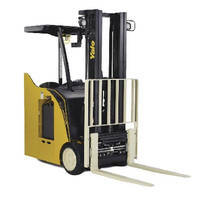 Swing Reach Forklift Truck suits narrow aisle applications. Mobile Pallet Wrapper wraps 10 loads/hour.